I have just recently been introduced to Under Lock & Key. I regret that I've been ignorant to the existence of such an inspiring movement. I commend you all in exposing the harsh reality that is the Department of Corruption nationwide. Here in West Virginia the nature of incarceration is mostly mental and emotional torture. Segregation time is handed out in 30- and 60-day increments for infractions of the pettiest kind: borrowing someone else's CD can get you 30 days. Giving a man a soup because he's hungry lands you in SHU for 30 days. Multiple class 2 writeups get you 60 as well as any class 1. Tobacco products get you 60 days. Then god forbid you get caught with a weapon... that's 2 years minimum on the "Quality of Life Program." The SHU is sensory deprivation to the fullest. 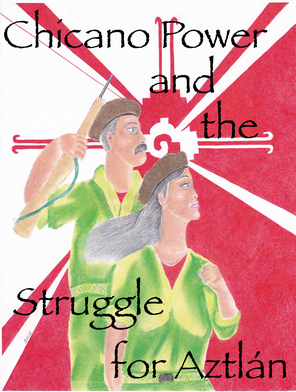 There is no access to reading books from the library, and of course no radio or television. If you get no newspapers or magazines in the mail, you have nothing. Get caught passing reading material and it's another 30 days. It's a very stressful game to hold on to your sanity. Though the atmosphere is not very violent, it is taxing mentally. Behind every face is a potential informant. There are few that can truly be trusted and even fewer who can be depended on. We have no unity. Some try to open the eyes of others to see the true enemy, but often times to no avail. Administration members play us against each other at every turn. They oppress religious freedoms and the mere freedom of thought. Voicing opinions in grievances gets you put in the SHU. I anxiously await the next issue of Under Lock & Key for advice, direction, and inspiration. MIM(Prisons) adds: The torture of prison control units, like the SHU described by this prisoner, is widespread in Amerika. It is something we have been fighting against for years, many comrades decades, but with little success in actually stopping the torture. Isolation units are used as a tool of social control for a population that the imperialists have no productive use for. In this system, prisoncrats work hard to set prisoners against one another by rewarding snitching as another method of control. Division and fear are powerful tools for the criminal injustice system. 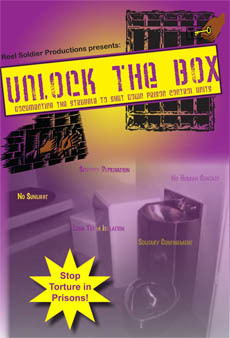 Under Lock & Key is an important tool for prisoners to fight back, organize, and unify. Share this publication with others, form discussion groups to talk about the articles, and get in touch with us to share your stories and struggles. There are many more people like the one above who have plenty of experience with repression, but have had little access to comrades and forums for analyzing and struggling to end it. We are working to change that.